In keeping up with The Hills even after it’s over, TMZ.com is reporting that Brody Jenner was asked to leave an American Airlines flight after he (and some other douche-bag passengers) would not listen to flight attendants and turn off their electronic devices. I remember when I was little they even made me turn off my Game Boy. Let’s just say Super Mario Brothers was never the same and I will no longer be flying PanAm Airlines, but enough about me. According to TMZ.com representatives said that Brody and some others became verbally abusive towards the flight attendants and were removed from the plane by airport police. 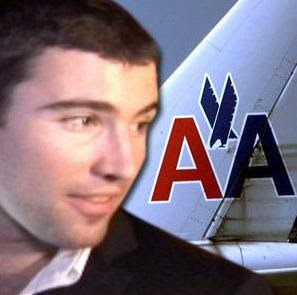 When someone later caught up with Brody who finally did make it to his destination (Chicago), Brody suggested that he will no longer be flying American Airlines again. Uh-oh, that must mean it’s the end of American Airlines! Steve Sanders and Brody Jenner Break Up: Girls Will Be Girls!